This is Blog 3 of 5 on Zerto Replication. This blog will cover how to create Virtual Protection Groups (VPG). 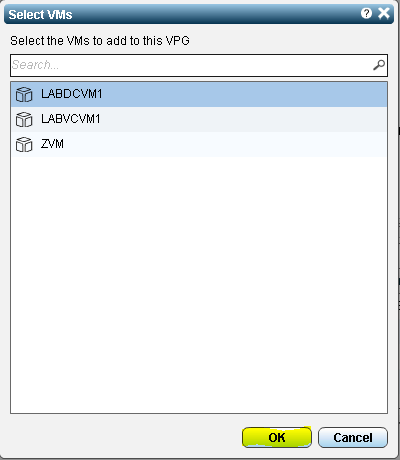 A VPG is a group of VMs that need to be grouped together for replication purposes. An example would be an application server and a database server. A more specific example would be an instance like Microsoft Exchange. Typically you have 2 to 3 servers for Exchange (Database, Software and Web) and they need to be in sync at all times. 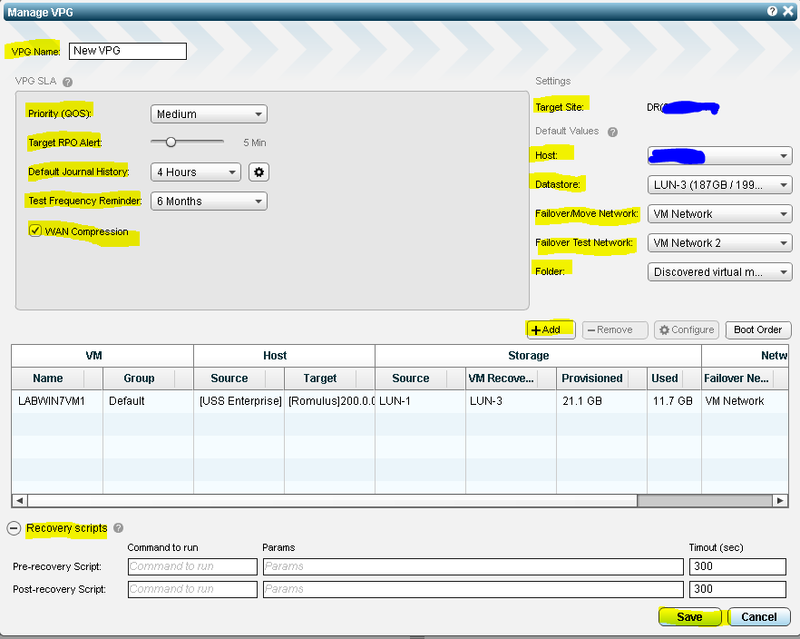 Failover Test Network – The network you want the VMs to use when test your VPGs. The idea is to be able to bring up the replicated VMs in a “Test bubble” or isolated VLAN so that there is no production issues during testing. Target RPO Alert – The maximum time between each automatic checkpoint being written to the journal before an alert is issued. After your VPG is complete you can select it and monitor the progress of the initial Sync and review the mapping of resources to DR. Overall a simple process.